Pies and tarts the whole foods way means less sugar, alternative sweeteners, gluten and grain free recipes and generally less fat. Less delicious? Not in my kitchen! These recipes should give you plenty of ideas for healthier dessert options when the sweet tooth or the occasion demands pie. A fabulous vegan pie crust recipe is an elusive creature. If you want a tender, flaky crust, some sort of butter substitute and/or shortening is necessary. If you don’t mind a denser, shortbread style crust, oil can work just fine. Gluten-free bakers can make a traditional crust with a gluten free flour blend or opt for a simple ginger snap or other cookie crust that takes only five minutes to make. This crust is a perfect container for Spiced Pumpkin Pudding or Sweet Potato Pudding, both of which are essentially crustless pies. This gluten-free pie crust recipe evolved after many experiments with many different recipes and flour combinations. It can be prepared as a vegan or non-vegan recipe, and adapted for savory baking. Gluten-free dough tends to do better as just a bottom crust, because it does not have the elasticity of dough made with wheat flour. It is generally crumbly compared to traditional pastry, and in order to get a crust that holds together you need to combine a number of different flours. Several companies make good gluten-free flour blends for baking, but if you are willing to add a few extra ingredients you’ll get a crust with rich and interesting flavor. If you want a dough for savory baking, eliminate the zest and sugar. This is a great crust for Spiced Pumpkin Pudding, Apple Crisp, or a juicy Blackberry and Blueberry Tart. This easy, nearly fail-proof recipe for gluten free almond tart or pie crust is a snap to make and is a great base for any kind of fruit tart, custard pie or cheesecake. You can par-bake the crust for 10 minutes, then fill it with pumpkin or sweet potato pie filling and finish it off; you can also pre-bake it until it’s completely cooked and fill it with a creamy pudding and fresh sliced fruit. Either way, for those of us that miss homemade pie because we can’t eat gluten, this is a wonderful and satisfying alternative. This recipe for French inspired blueberry pie should become a staple dessert: it’s quick, it’s easy, it's healthy, and most importantly, it’s sublimely delicious. It was inspired by a recipe my second mom made every summer during my growing up years, and I have adapted it for a healthy diet. Raw blueberries perch atop a filling of sapphire blue cooked berries. The pie is a mix of creamy filling with the firmness of raw fruit. I love this best made with wild Maine blueberries (the best in the world to my mind), but it can be made with any good quality berry. The addition of optional golden raisins and Calvados (apple brandy), cinnamon and a touch of lemon will elevate this rustic pie to new heights. It is an easy and delicious dessert for brunch or a dinner party and dresses up nicely with a dollop of pastured cream, Vanilla Tofu Whip or Walnut Cream for an extra special treat. We love old-fashioned, deep dish apple pie in my family, and it has been a common dessert on our table during apple season for as long as I can remember. Every good baker has her own version, and I like my pie stacked with fruit, well spiced, and encased in a tender crust. 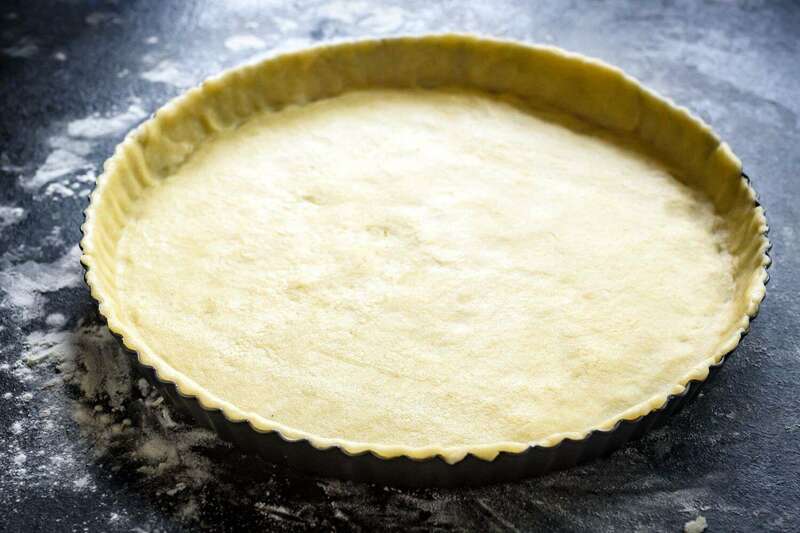 You can make a vegan deep dish pie with this recipe or you can make a traditional double crust deep dish pie as presented here. Don’t be intimidated by the pile of apple slices; as the fruit cooks it compresses and the finished product will not be as high. This lovely whole foods maple pecan pie recipe combines tradition with a healthier view. Instead of corn syrup, dark Grade B maple syrup gives a rich and deep flavor to the custard. An optional touch of bourbon makes this decadent treat a perfect dessert for the holiday table. Feel free to substitute walnuts for the pecans, and/or add 1 cup of chopped dark chocolate to the custard. I call this one of the "less guilt" holiday desserts. If you want to avoid ice cream or whipped cream, try Vanilla Tofu Whip on the side. Lush, creamy, and packed with nutrients, this recipe for dairy-free pumpkin pie nestled in a gluten free almond crust is a family favorite and the result of experimenting with traditional butter-and-cream laden recipes. The addition of cardamom adds a bit of different flavor. The pie is incredibly easy to make, with a 5 minute prep time, and if you don't have a crust, go ahead and bake it on its own as a pudding. While we typically associate pumpkin pie with Thanksgiving, this is a great recipe for an impromptu fall or winter dessert offering, and is appreciated by omnivores as much as by vegans. Pumpkin is loaded with beta-carotene and potassium, and is also rich in fiber, so while the pie is definitely a special occasion treat, this is pretty much a guilt-free dessert in my book. Serve plain or with Vanilla Tofu Whip or Walnut Cream.